That’s Reed Hastings up above. He’s the CEO of Netflix, and the mastermind behind the Quickster debacle. Last month he apologetically announced that he was going to split Netflix into separate divisions: one for streaming videos, and the other for DVD-by-mail, to be called Quickster. After outrage from consumers and investors, he sheepishly backed out of that plan yesterday. Strange that Hastings thought the best way to phase out a service was to build another company. That’d be like McDonalds selling Big Macs in one location, and Quarter Pounders in another. 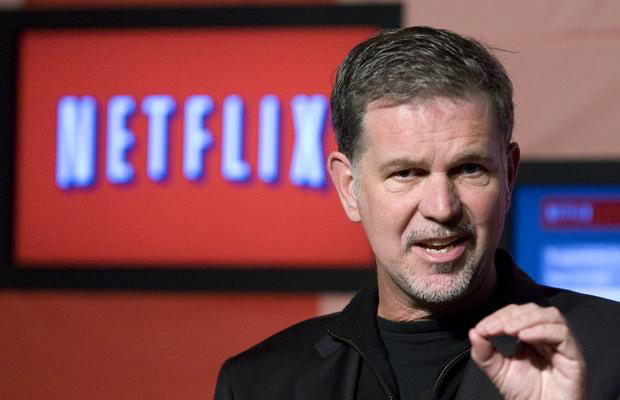 If Hastings truly wishes for Netflix to becoming streaming-only (to cut more costs for a monopoly? ), then he better focus on making the streaming quality better. Sure, there’s some HD choices, but most of the movies aren’t that great of picture. Some movies aren’t even presented in widescreen. Consumers notice that kind of thing. People trust DVDs. And some people even like the good, old fashioned practice of handling DVDs. They like to feel them, pop ’em in the DVD player, push play… that sort of thing. Whatever people’s preferences are, one thing is for certain: All subscribers seemed to be satisfied with the way Netflix was before. So why did a company that was already a Master of the Universe, decide to tarnish its brand by rolling out a stupid idea that would confuse its already loyal customers (not to mention devaluing its stock in the process)? Ask Mr. Hastings, I guess.